Circular Economy (CE) refers to the concept of using closed loop cycles in our current global system to ensure continuous material flow in closed loops. This also harnesses the resilience of biological cycles. The concept of closed loop is taken from nature where nothing is wasted because outputs from one process becomes inputs for another. Biological cycles refer to all biological nutrients moving in overlapping cycles between air, water and earth. A similar cycle must be replicated for industrial processes, where material outputs from one process become inputs for another. Non-biodegradable materials are materials which cannot be broken down by nature into natural elements. Therefore, it is important to separate non-biodegradable industrial outputs from biological cycles. However, overlaps between natural and industrial cycles occur everywhere, e.g. natural pulp is converted to paper using chemical treatment (industrial cycle) and then sent for composting after use (biological cycle). Subsequently closed loop cycles between industries can be formed so that materials entering the loop can be circulated beyond conventional end-of-life. This is known as Industrial Ecology. Hence in our daily life, we should try to use more biodegradable materials can be readily fed into biological cycles. Biological cycles are more robust and stable in operation since they have evolved over many centuries. In comparison, industrial cycles are relatively new since many developed, after the industrial revolution. This is important because humans are dependent on biological cycles for their survival. Humans are unique in their ability to manipulate biological cycles and integrate them with industrial cycles. Over time, we have developed several unsustainable ‘open systems’ which disrupt these biological cycles. Open systems consist of non-biodegradable materials that are disposed off without closing the loop. For example, non-biodegradable chemicals released from a factory into the nearby river, end up in a sea or ocean and harm marine life, since chemicals are not easily dissolved in water. When the concentration of such non-biodegradable materials increase in nature, biological cycles respond in unpredictable ways resulting in natural disruptions such as famines, floods, tornadoes and extreme weather conditions. Hence, we have a two-fold responsibility to ensure our own sustenance. 1. Put all materials that are currently treated as waste into closed industrial loops and try to align them with biological cycles so they are used repeatedly in the same or different forms. 2. Design closed loop industrial systems for all future materials put into the global economy. This should be done in a way where they are integrated with existing biological systems without disrupting them. This calls for a major shift from ‘me’ thinking (prevalent for individuals as well as communities, municipalities, states, countries and organisations across the globe) to ‘us’ thinking (where all living and non-living things are seen as interlinked systems). However, we must ensure that such analyses are relevant to a particular individual, community or organisation. This can be done by highlighting the stakeholders role in closed loop systems through worldwide communication. Before implementing new industrial systems, it is essential to ensure that they are linked to existing industrial and biological systems and are adapted to local context. Global consensus on CE must start with awareness. The urgency can be gauged by the numerous events organized across the world in 2014 alone (refer Table 1). 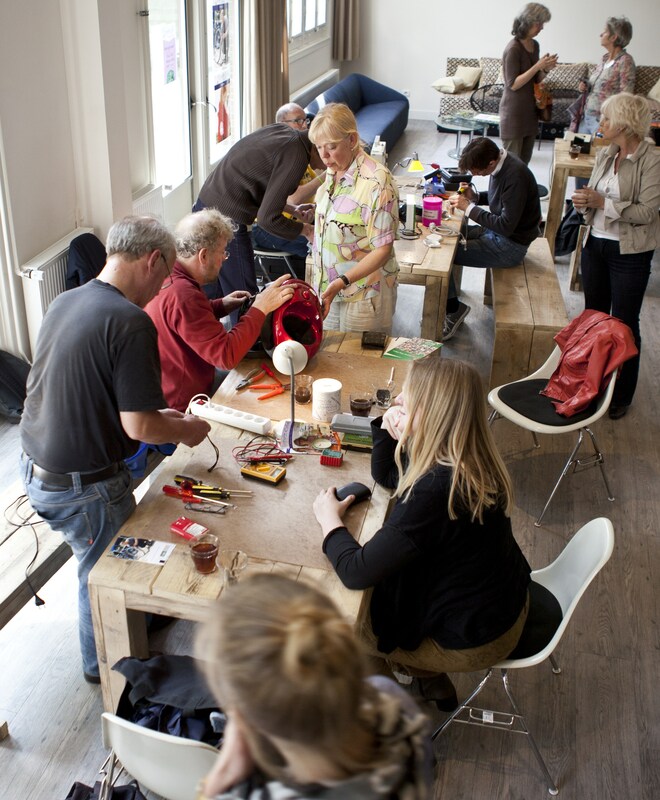 Additionally, local level collaborative participation such as Repair Café and Hackerspaces result in development of future innovation hubs. Similarly, cities can engage the private sector to act on CE principles by providing incentives. This brings us to the next question. What is the best way to kick-start CE? Scope of operations can be global or local depending on the context. An integrated solution involves a “glocal” approach by individual nations, where a local approach is used with a global economy in mind. EU press release calling all EU nations to work towards a CE at all levels is an example of a glocal approach. An alternative involves inviting organisations to debate on transition towards a CE; as is being done in France and UK. Developing economies like China, India, Brazil and South Africa are still in the early stages of exploring the CE model. However they can also participate in such debates and then build robust circular economies which align with the global CE. Simultaneously, localized movements around the world can also propagate the CE concept. 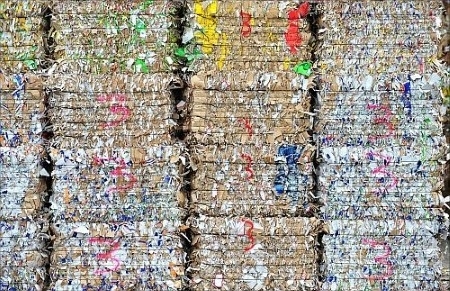 These led to in-depth understanding of recycling but a resistance towards CE from large German companies due to potential large-scale disruptions to business-as-usual. Multinational companies like RICOH, Phillips and Interface along with numerous small and medium enterprises (SME) globally are already using closed cycles for corporate advantage. In a few countries Vodafone offers customers to a new mobile in exchange of old mobile phones after a period of usage. Vodafone works with a waste contractor Veolia to put used mobiles in material recycling and copper manufacturers acting as sub-contractors retrieve the copper. However, because there is a lack of integration, these sub-contractors act in isolation rather than work collaboratively. Thus, potential lessons on design optimization from these material cycles are lost. Introduction of SMEs can result in more innovative solutions and design of products from waste. This can help create new industries and allow them to co-exist with bigger corporations. Largely, these activities are still seen as CSR. However the CSR concept can be shaken up once new disruptors such as SMEs, NGOs and new generation entrepreneurs enter the market. This can cleaning up and make information transparent across the value chain. SMEs and NGOs play a significant role in transparency of supply chains driven through availability of “Big Data”. Plugging systemic leakages through big data can be a profound ways to facilitate a global CE. Big data is obtained by tracking material data and material flows worldwide combining technology and statistics. Solutions can range from creating databases to developing data warehousing businesses to create transparent global supply chains. Currently companies expose data primarily as an obligation based on country-specific regulations or due to demand from consumers. However, companies are more likely to transition to CE if they view this as a business opportunity rather than a hurdle. A major issue with comprehensive material data and process data availability lies in companies dissociating themselves after sale of products. Material flow is not followed thereafter because that is not a part of their value chain anymore. Cradle-to-cradle certification is gaining prominence since it requires companies to know the exact origin and material of the product. This may be possible through collaborative R&D in material flows and process flows between large organisations like Ellen MacArthur Foundation, TNO, industry leaders like Phillips and McKinsey and disruptive SMEs and start-ups like Atlassian. Construction companies have no legal responsibility after the sale of properties. Large volumes of building materials enter the global material system in the form of constructed properties. and the whole process occurs without any loop closure. Therefore, an alternative business models in the real estate industry is necessary. The lack of quality building material at affordable prices and land for construction can drive these new business models. As material and land starts gaining valued after first use, more opportunities are likely to crop up for organisations to follow the material trail from cradle to cradle. This can be followed by extended producer responsibility where the manufacturer of a product takes responsibility of the product after it has been used by consumers. The following example provides an illustration of how loop closure can create competitive advantage through a combination of responsible corporate action and government regulations. Practical disadvantages have also been highlighted simultaneously to indicate the difficulty in achieving such novel objectives. A construction company can create a detailed inventory analysis to understand its material usage on a project-wise basis. However, at present, it has no incentives to do so since it derives maximum financial value through one time construction and sale. Societal and environmental values are easily ignored due to overriding economic benefits. Assuming a company does take responsibility as indicated in (1), this can be complemented with relevant government regulations and effective implementation mechanisms. This will ensure loop closure of construction materials. However novel such a thought may be, governments rarely are able to implement such regulations or have effective implementation mechanisms due to several simultaneously competing needs. the materials are reused beyond end-of-life leading the transition to a CE. Thus, despite potential benefits, it is rarely realized due to lack of collaborative action. One way of achieving this is by simplifying the supply chain. Such a change can benefit developing countries like South Africa which can then work on the CE concept using existing informal industrial cycles. South Africa is an excellent example of a developing country which is already industrialized in terms of ecological footprint and industrial networks created without international cooperation. Several recent conferences and debates in Pretoria, Johannesburg and Cape Town indicate that it is willing to walk the CE path in an inclusive manner. For CE to work in developing economies like South Africa, the social divide must be bridged by providing equal opportunity to people with different income levels. So the CE model for developing countries has to be an enabling one for all classes of people irrespective of income levels. This can be done when revenue generation through human resource utilization is the primary focus vis-à-vis industrialization focus in countries with higher per capita income levels. It is important to note that concepts such as Pay-As-You-Use and Pay-As-You-Go which facilitate creation of a CE are already widespread in South Africa. This is an indication that South Africans have already subscribed to the CE concept without waiting for formal frameworks. Hence they are more likely to implement a CE model aligned to global systems and other nations walking the CE path. A major issue in CE implementation is the lack of convergence on a universal definition of CE. This is due to the difference in perceptions and objectives of different stakeholders across the world. However, a universal definition may not be necessary if the CE models can be adapted to the target market. This will make it more relevant to the concerned market while keeping the basic CE principles uniform. For example in Africa, the social aspect can play a significant role towards transition to CE (since human energy is still the largest force). Meanwhile in Europe, the focus can be on integrating and optimizing existing automated systems. Another possible solution can be unified definition through creation of a global charter on CE. This can focus on some basic principles through consensus of all major nations and organisations while allowing for local variations based on context. 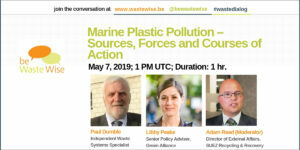 Such a move could ensure alignment of various nations and organisations with global systems and processes simultaneously linking other circular economies in a meaningful manner. The concept of CE, though omnipresent in nature, is finding applicability to human systems only in recent times. Several formal and informal means of communication are used for CE information dissemination through conferences, joint initiatives and action programmes. While some global corporations like Phillips and RICOH are utilizing CE for corporate advantage, entire nations like Germany are yet to apply CE principles effectively. To fill this gap, SMEs, NGOs and localized movements are playing a vital role through disruptive innovation. They are highlighting the importance of collaborative work as shown by global innovation hubs like Repair Café and Hackerspaces. For CE principles to take hold globally, it is imperative to have a cradle to cradle approach by nations and organisations through whole system optimization, material data tracking and big data warehousing. These initiatives can give rise to entire industries and improve data flow across the global economy. This can result in greater transparency across the global value chain. As markets are integrated, developing economies are understanding the benefits of a CE connected world. Some of them are well poised to use existing informal closed loop systems to optimally utilize existing resources and reduce material consumption. This is especially relevant in populated developing economies with severe resource constraints like Brazil, India and China. However, seamless understanding of CE as a concept is still a challenge because of the different perspectives and objectives of stakeholders worldwide. While a unified solution may be explored, local variations following basic CE principles are equally acceptable. On the whole, given the physical limits that the world faces today, CE seems to be one of the most feasible ways to reach a sustainable dynamic equilibrium with nature. This is especially true given the current wasteful global society driven primarily on economic principles. CE also seems a potent way to integrate a global population consisting of two halves: the part which is resourceful but unaware of material limits and the part which is too resource constrained to take such factors into consideration. Towards the Circular Economy: Opportunities for the Consumer Goods Sector. Ellen MacArthur Foundation. s.l. : Ellen MacArthur Foundation, 2012, 2013, Vol. 1&2. The Ellen MacArthur Foundation. The Circular Economy Wiki. [Online] 2014. [Cited: November 2, 2014.] http://circulareconomy.wikispaces.com/. Hawken, Paul, Lovins, Amory and Lovins, L. Hunter. Natural Capital. First. USA : Little, Brown and Company, 2008. World Economic Forum. World Economic Forum Annual Meeting 2014. World Economic Forum. [Online] [Cited: December 13, 2014.] http://www.weforum.org/events/world-economic-forum-annual-meeting-2014. The Guardian. Circular economy events 2014: a logbook. [Online] 2014. [Cited: November 3, 2014.] 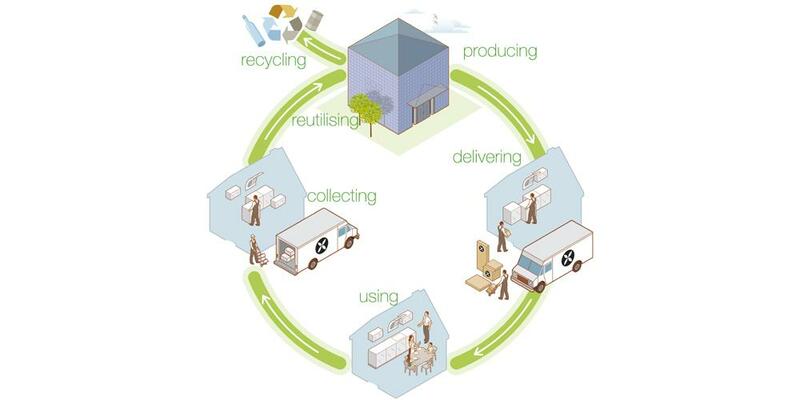 http://www.theguardian.com/sustainable-business/2014/jul/24/circular-economy-events-2014-a-logbook. The Ellen MacArthur Foundation. Project Mainstream. [Online] 2012. [Cited: November 2, 2014.] http://www.ellenmacarthurfoundation.org/news/project-mainstream. The Fung Global Institute. Towards a Circular Economy in Asia. [Online] 2014. [Cited: November 3, 2014.] http://www.fungglobalinstitute.org/en/towards-circular-economy-asia. European Commission. Welcome to the Green Week 2014. [Online] 2014. [Cited: December 17, 2014.] http://ec.europa.eu/environment/greenweek/index.html. Cradle to Cradle Products Innovation Institute. Cradle to Cradle Certified Products. [Online] 2011. [Cited: November 1, 2014.] http://www.c2ccertified.org/product_certification.